Attention is the time that a person is actively consuming the content. Nudge recommends it as an objective way to compare the return on investment of different kinds of mediums in the B2B sector. Conversions are the number of people that converted through to the brand site after reading the content. Conversions can be used to measure the traffic to the brand’s site through banners, clicks and provide performance analysis. The content formats for B2B campaigns are generally more professional and informative than other native campaigns, but there is a growing trend towards casual tones and lighter content. Content formats are relatively restricted to articles, videos, infographics, and interactive content. Infographics perform well in attracting people’s attention and highlighting key messages. However, videos underperform in terms of engagement and attention minutes. 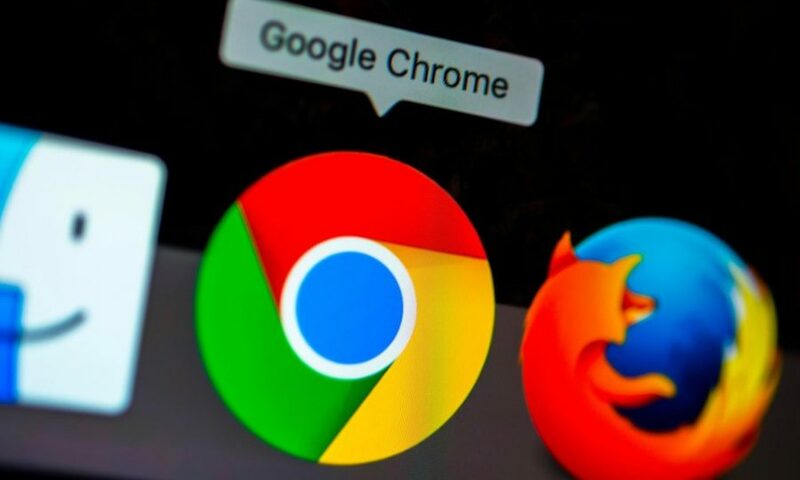 This is because videos are less efficient in sharing information and usually require more focused attention. 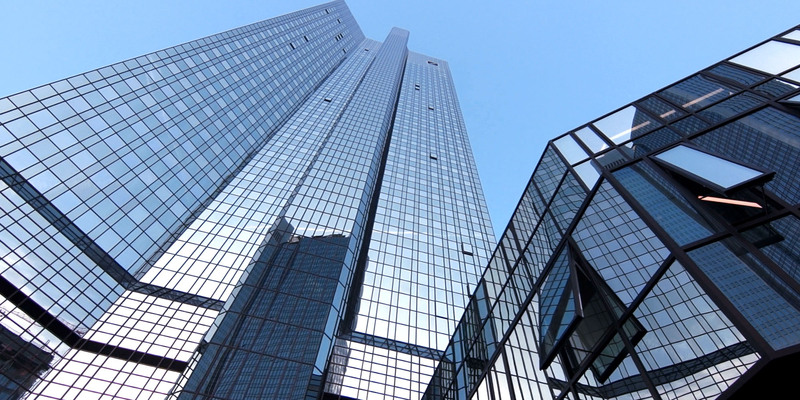 Forbes is a professional platform with a focus on information about business and investment. 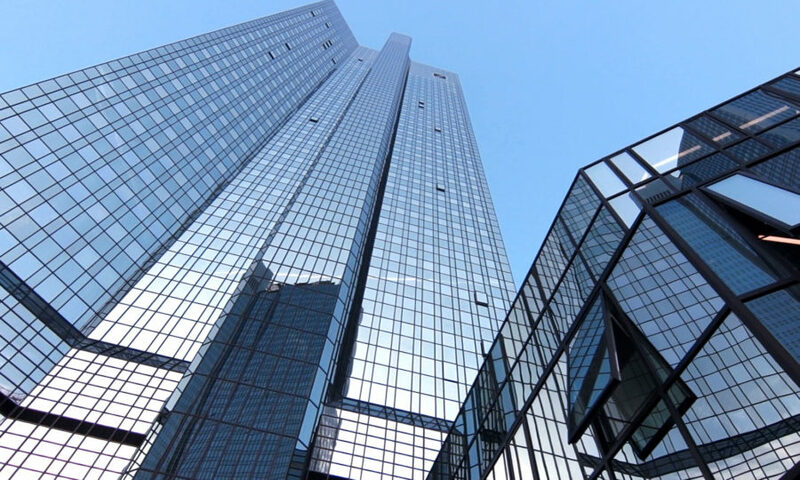 Financial planning and wealth management articles target people with higher disposable incomes. Wall Street Journal is an American business-focused, English-language international daily newspaper. The audience is generally well-educated (56% college graduates) with high family income. Desktop traffic performs well for most B2B content since the content usually includes more detailed discussions on professional topics. Newsletters from publishers are great add-ons, driving 2x higher attention than other sources. LinkedIn is primarily used for social shares but is generally not as effective in driving people to the original content (i.e. poor earned impressions ratio). 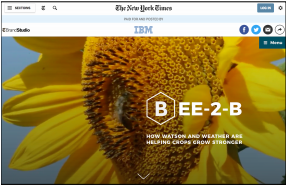 IBM published an interesting analogy between the future of business and bees on the New York Times. The content is engaging and informative, and successfully explains how technology affects future outlooks for the beekeeping industry. 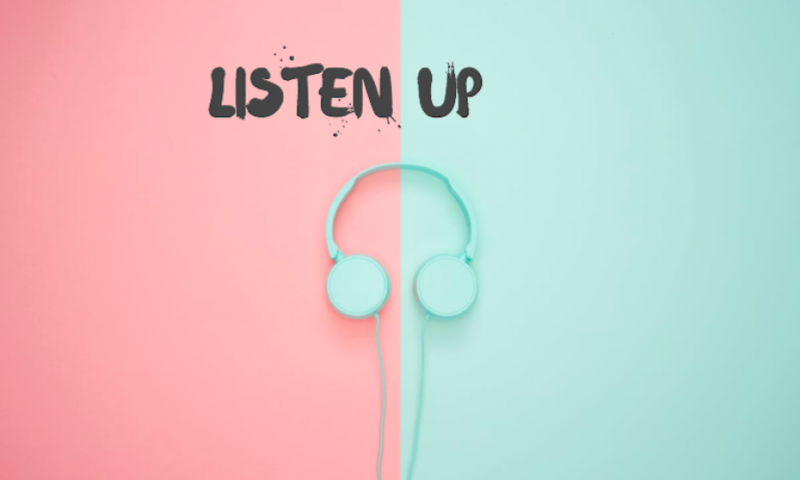 This piece of content is strong evidence for the industrial trend – formats and content are increasingly casual and less restricted. The layout is concise and simple, and the social media buttons are clear located on the side. 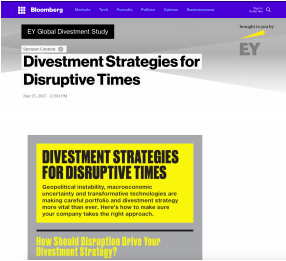 EY launched an informative content campaign on how disruption should drive people’s divestment strategies. The content highlighted the importance of data analytics and disruptive technology for business executives and corporations. The infographics are clear and concise, including data analytics support. As an accounting firm, the discussions on tax is directly related to EY’s business and the quotes are originally from EY. There is no competitive advertising on the page, and we would like to highlight this point to campaign managers, in the past we have found content where competitors banners have occupied more space than the sponsored content in Nudge measured campaigns.